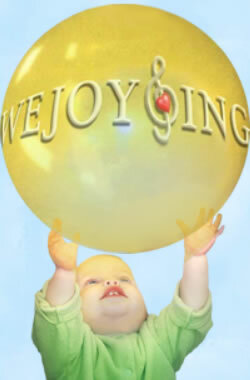 Grandma states, "WeJoySing has been the BEST THING!" 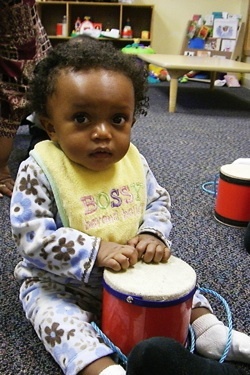 Lindsey is all about MUSIC - A JOYFUL WAY to LEARN and DEVELOP!! 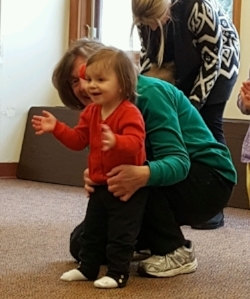 "WeJoySing has been the BEST thing for Lindsey who is in the Help Me Grow program because of speech delays. 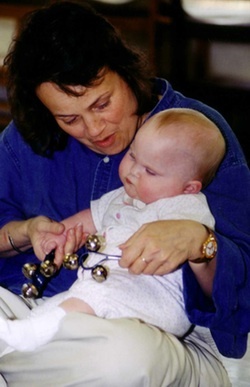 Mrs. Julie was Lindsey's first WeJoySing music teacher. Lindsey started very young and was a non-walker. 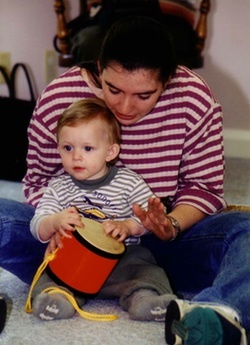 She was in Help Me Grow for speech therapy as well as physical therapy because at 22 months old she wasn't walking. It's important that you know that Lindsey took her first steps in Mrs. Julie's class when Mrs. Julie encouraged Lindsey to come and put her instruments away. It was so moving!! She doesn't always do everything in class but she sure "takes notes" and then we do a lot of it at home. It has not only stimulated her but it gives her a bit of confidence! Again, thank you for all WeJoySing has done for Lindsey! It has also give her mom and me hope that her speech will develop just as her walking did, no matter how long it takes!! Suzanne, thank you for sharing Lindsey's inspiring story with us! WeJoySing will continue to provide her with only THE BEST so that one day, she will "talk a leg off of you!"